Huawei’s flagship phones, P10 and P10 plus, received an overwhelming response at MWC 2017. With the recent launch of P10 lite in UK, company aims to bring the popular P line up to the budget segment. The smartphone is currently available for pre-orders on Carphone Warehouse, EE, and Vodafone and will be available in you nearby retail store from March 31. It is priced at £299 (about Rs. 24,000) and comes in black or gold color to choose from. It surely looks like a premium device carrying forward the design language of P10 devices. There are minimal changes differentiating it from the flagship. Fingerprint sensor is present at the back and sadly you don’t get that trademark dual camera setup in the lite version. But, it still packs a lot under those stunning looks. The phone is powered by Huawei’s own 2.15Ghz octa-core Kirin 658 chipset coupled with 4GB of RAM. The device runs on EMUI 5.1 based on latest Android 7.0 Nougat. It features a 5.2 inch full HD IPS display with 2.5D curved glass. A battery of 3000 mAh is provided which claims to offer a talktime of 21 hours. In camera department, 8MP front camera and a 12-megapixel rear module is provided which is not from Leica unlike the P10 and P10 plus. The phone comes with dual sim support tray with option of either using a SD-card and a sim or 2 sim cards. It has got 32GB of internal storage which is expandable up to 128 GBs. P10 lite comes in a compact form factor measuring 146.5x72x7.2mm and weighs around 142 grams. Support for 4G LTE, W-iFi 802.11ac, Bluetooth 4.1 is present along with GPS and NFC. To add icing on the cake, there are few gimmicky features like Knuckle Sense which allows you to draw gestures on display using your knuckles. 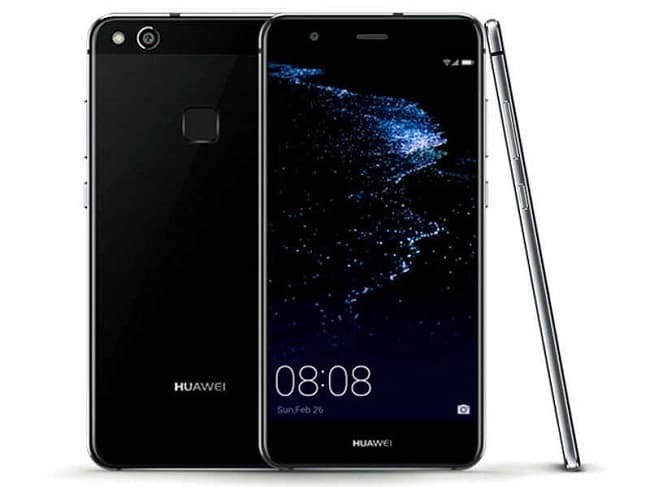 Overall, it is a respectable deal at the price point from Huawei.